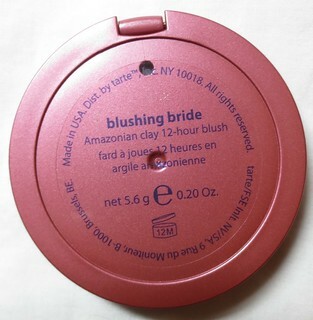 It's no secret that I'm a huge fan of Tarte's Amazonian Clay Blushes, and today I have the shade Blushing Bride ($31 CAD) to share with you! Blushing Bride might not be a traditional Summer blush shade, but we've been having some rainy days here lately, so I decided to pull this blush out again! Blushing Bride is a beautiful plumy rose with golden shimmer. 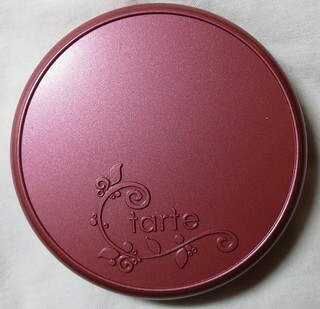 Tarte makes some of the best blushes that I've ever tried, right up there with NARS blushes. 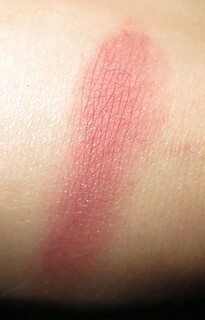 Blushing Bride is incredibly pigmented, so you only need the tiniest amount. I use a Sigma F40 to apply all of my powder blushes. 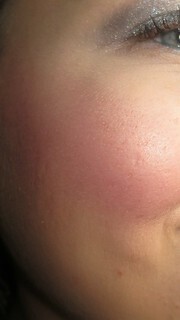 I really love pairing NARS' Albatross over top of Blushing Bride, as it brings out the golden tones in the blush. Blushing Bride looks beautiful on pale skin, but I also think that this blush would look great on darker skin tones as well. 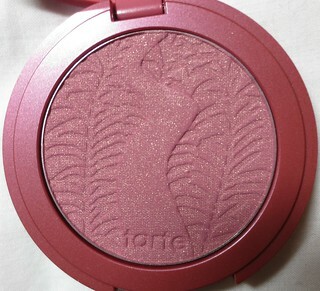 Tarte markets these blushes as 12 hour wearing blushes, but they last about 8 hours on my skin. 8 hours is still wonderful, but I thought it was something to note! I also love that Tarte colour coordinates their blushes to their packaging, it makes it so easy to find the right blush shade in the morning! These blushes can also be easily popped out and placed in a magnetic pan, like a Z Palette. I have this one! I'm planning on using it for the fall since it is a warmer shade for then, but it is beautiful all year round. I actually have never tried anything from Tarte before...sadly! But oh my goodness that shade looks gorgeous with your eye color and eyeshadow! It looks pretty shimmery in the package, but it seems to go on pretty matte. Gorgeous!! I love this shade! I really want to try Tarte blushes! This is one that I totally want to get! Gorgeous! I just recently got Natural Beauty and I am OBSESSED. I seriously use it almost every day, if you haven't tried it you should! Thanks! :) I think I'll be reaching for it a ton this Fall and Winter. Right now I'm also really into corals, like Tarte's Tipsy and NARS' Torrid!